David Ruff was the third-generation owner of Morrilton Packing Co. in Morrilton, Arkansas and longtime leader of SMA. David was born and raised in Morrilton, where he worked in the family’s meat business from an early age. He was a proud Arkansas Razorback, earning a degree in Industrial Engineering. After nearly two decades with Campbell Soup in a variety of roles, David came home to the family business, assuming leadership of the company upon his father’s retirement. David presided over tremendous growth and diversification of the company until his passing in 2018. His legacy lives on through the continued success of the firm with the next generation at the helm. David was a valued leader and mentor within SMA, serving several terms on the board of directors and two terms as Chairman of the Board. 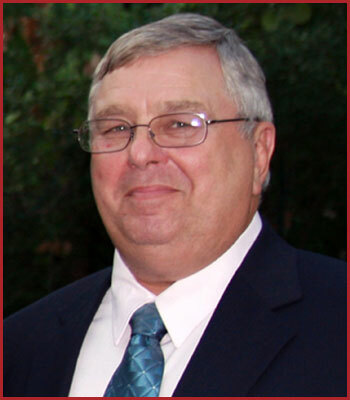 Mr. Burley Smith is the Senior Vice President of Lone Star Beef Processors in San Angelo, TX. He has been with Lone Star since he and fellow investors purchased the firm in 1997. Burley is a 1971 graduate of Texas A&M, where he competed as a member of the meats judging team, coached by Dr. Gary Smith. He went on to earn a master’s degree from the University of Missouri. Following school, Burley worked in sales for Wilson Meat Company and as a meat marketer for Evans Meat Company. He was the founder of Sun Flower Brokerage. Under the leadership of Smith and John Cross, Lone Star Beef has become a significant entity in the packing industry. Burley has represented SMA as packer member of the Texas Beef Council board of directors, and served on the SMA board, including as member of the executive committee. He was Chairman of the Board in 2004-2005. 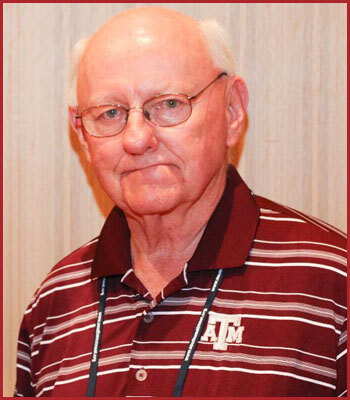 An avid supporter of education, Burley has funded scholarships for meat science students at Texas A&M for many years through his family’s charity, SMIKIDs Ltd. Burley and his late wife Mary have three children, Brent, George and Hollie and seven grandchildren. Burley enjoys spending time with family on his Ranch in Melvin, TX. Dr. H. Russell Cross has been an influential pillar in the meat industry for half a century, since beginning his career in meat grading in the 1960s. His leadership, expertise and experience have helped numerous individuals in academia, government and industry. Dr. Cross’ impact in academia, especially at Texas A&M University, can be attested to by the thousands of students he has instructed and led as the Executive Vice President for Operations and Chief of Staff to President Elsa Murano, Deputy Vice Chancellor and Associate Dean for Agriculture and Life Sciences at Texas A&M University and most recently, the Head of Texas A&M’s Department of Animal Science. He was the first holder of the E.M. “Manny” Rosenthal Chair in Meat Science. Widely recognized for his industry-changing research, he continues to lead groundbreaking research at Texas A&M University today. He has received awards and honors too numerous to list and has served as the Administrator of USDA’s Food Safety and Inspection Service under Presidents George H.W. Bush and Bill Clinton. 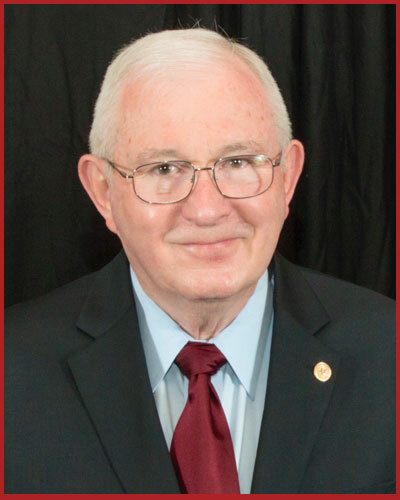 During his time at FSIS, Dr. Cross implemented The SMA Hall of Honor recognizes the selfless service and contributions of association leaders whose dedication, loyalty and hard work have paved the path to SMA’s 60+ years of success. Upon leaving FSIS, he created and became the founding Executive Director of the International HACCP Alliance. Dr. Cross and his wife, Elaine, reside in College Station, Texas. Mr. Don Rea’s passion for the meat industry is second to none. He has spent his entire life supporting the meat industry and the Southwest Meat Association. Don is a proud graduate of Texas A&M University and remains an avid supporter the Meat Science Section including the funding a new graduate program focused on preparing students to enter the meat industry. He began his meat industry career at a custom slaughter facility in Uvalde, Texas, and has worked in nearly every facet of the meat industry since then. Don has started up numerous successful companies and continues to be well known industry innovator. Don Rea’s decades-long support of the SMA has been instrumental in the success of the association. 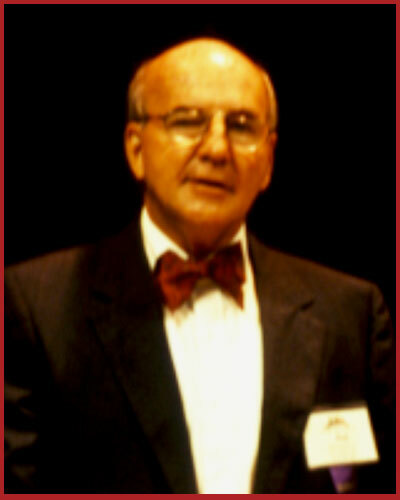 Don served several years on the Board of Directors and was President of SMA in 1992-93. Whether he is attending the Annual Convention, donating time and money to the SMA Foundation or volunteering his ranch for SMA’s Annual Dove Hunt, Don has always been a passionate supporter of this association. Don Rea has created an amazing legacy across the meat industry, especially within this organization. Don and his wife, Nancy, reside in Ft. Worth. 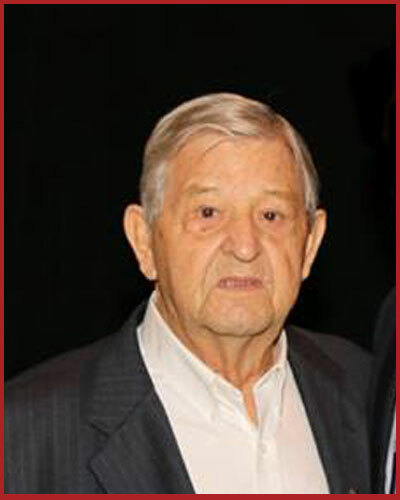 Mr. Morris Bolton was involved in SMA his entire career, beginning in 1963 with SMA charter member, Pratt Packing Company in Sulphur Springs, TX and culminating with his retirement from Winn Meat Company in 2002. Morris was the first, and one of a very select few individuals to be elected to two terms as president of SMA; 1984-85 and 1987-88. He led the association through some very challenging times and some significant shifts in industry structure. There were times when he organized SMA members to financially support the association when it appeared it may not even survive, thus cementing his legacy in an SMA history that would never have seen its 60th anniversary but for his efforts. Morris and his “partners-in-crime,” Bob Ondrusek and Bob Winn, were legendary in SMA for their exploits; but it was Morris’ love for SMA and his industry colleagues that made him such a highly respected leader. 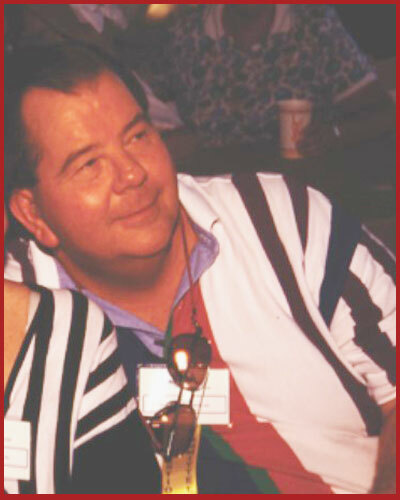 He was very active in planning excellent conventions and in fundraising for SMA scholarships. 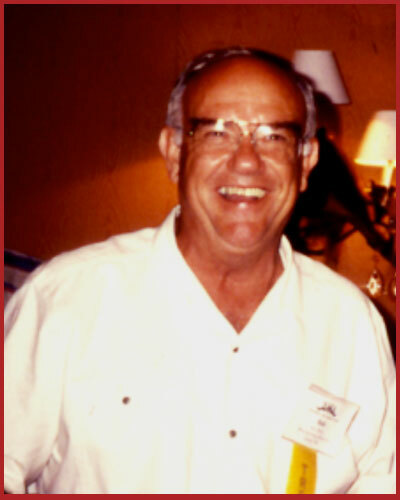 Morris and his wife Patsy lived in Sulphur Springs, TX until his passing in 2017. Mr. Jim Henry is indisputably the longest-tenured member of SMA. When SMA was founded in 1957, Jim worked for Enterprise. 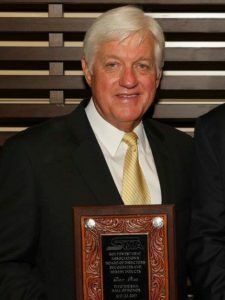 He went on to form Jim Henry Enterprises, and as the saying goes, “the rest is history.” Jim’s decades of experience in the meat industry have given him a unique perspective and allowed him to witness countless monumental changes in meat processing. He has been the “go-to” person for anything related to buying, selling, refurbishing, troubleshooting, or repairing meat processing equipment and is a pioneer in terms of customer service. His passionate devotion to serving his customers led many of them to become his closest lifelong friends. Jim is a highly respected leader and mentor within SMA, twice serving as President of the Associate members in 1973-74 and 1982-83. The true affection and the high regard with which SMA members hold him are on display any time they gather for an SMA convention. 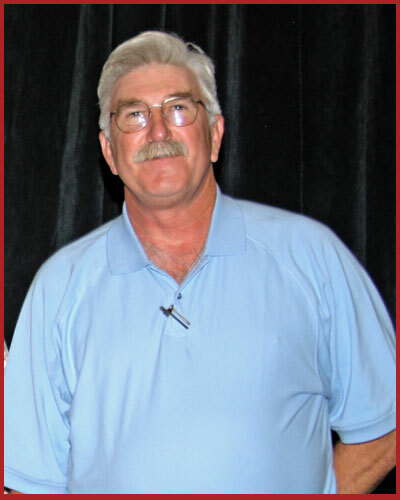 Jim Henry has attended 58 of SMA’s 60 annual conventions. At 91 years young, he has been a fixture around the association for longer than most of its members have been alive; and he remains very proud of his affiliation with SMA. He and his wife, Virginia, resided in Waelder, TX, until his passing in 2017. Mr. Robert Langford was known by his industry colleagues as one of the sincerest, kindest and most respected gentlemen in the meat business. A Texas A&M University-trained engineer, he spent 35 years in various roles with Owens Country Sausage. Robert was passionate about SMA, and from his first involvement in the 1960’s he never wavered in his support of SMA and its mission. He was a loyal friend to all who knew him and helped lead SMA in good times and through some not as rosy, devoting both time and personal resources to help SMA succeed. Serving as president of what was then the Southwest Meat Packers Association from 1977 to 1979, Robert brought a tremendous attention to detail and organizational skills to the job. In 1987, he joined Ruben Hinojosa and Jerry Stokes to serve as the founding trustees of the SMA Foundation, and penned the Foundation’s original by-laws. From its humble beginnings striving to award one or two deserving students with some assistance to fund their education, the Foundation now awards over $50,000 annually in scholarships. In the SMA Foundation, Robert’s legacy continues to grow every day. Upon his retirement, he and his wife Cathy continued to live in Dallas until his passing in 2004. A proud graduate of Texas A&M University, Gary Nace has been a fixture at SMA for several decades. He was instrumental in formalizing the Associate Members group into a functioning entity with its own by-laws. Gary’s employer, Birko Corporation, is one of the association’s longest tenured members, joining in 1976. His leadership ability was recognized by his peers when they elected him to serve as the Associate Member President on two separate occasions, 1991-92 and 2008-09. The Suppliers’ Showcase that is occurred during each annual convention got its start as a result of Gary’s efforts along with a few of his fellow members. A lasting legacy of Gary’s devotion to the organization is that 60% of the proceeds from each year’s Suppliers’ Showcase goes directly into scholarships for deserving students. He was an avid supporter of the SMA Foundation and was a key advocate in getting the annual golf tournament started to generate scholarship funds. He remained a loyal advocate for SMA who never hesitated to step in to help out whenever a need arised. Gary and his wife Darliss continued to live in Claude, TX until his passing in 2018. A native of Ferris, TX, Bob Winn was a graduate of Southern Methodist University and a U.S. Army veteran. Bob had a successful early career with Ferris Brick Company and upon its sale in the early 1970’s, he purchased Buntings Wholesale Meat Market, which later became Winn Meat Company. Bob’s entry into the meat business gained the industry and SMA a tremendous leader. He was a forward thinker who was among the very first to comprehend what a monumental shift in the meat industry was about to occur in the mid-1990’s. His prescient realization that the meat industry must band together to survive the coming years of unprecedented regulatory upheaval helped steer SMA and its members toward success. He truly loved planning and participating in SMA Conventions, bringing a flair for social events and even a practical joke or two. 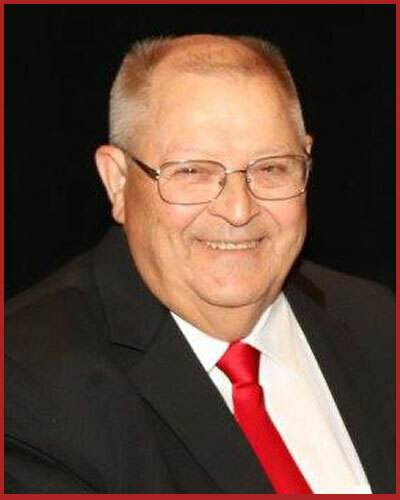 He served on the convention planning committee every single year until his retirement in 1995 to his east Texas farm with his wife, Jan. Bob was elected and served as SMA’s president in 1993-94. In December 2015, Bob left us all too soon, but he is remembered fondly by scores of industry friends and colleagues who benefited greatly from his influence. Bob Ondrusek was and is a legend in SMA. Everyone who had the pleasure of knowing Bob has at least one story to tell. Bob’s company, Columbia Packing Company in Dallas, TX has been in the Ondrusek family since 1913 and was a charter member when SMA was formed in 1957. His passion for the association was unsurpassed, and he made that fact abundantly clear to everyone with whom he came into contact. He was famous for “allegedly” requiring potential vendors to join SMA before he would even discuss business with them. Bob’s industry colleagues recognized the value of his deeply-held love of the association by electing him to serve as its president twice, in 1981-82 and 1997-98. The SMA convention was one of his pet projects, and he was a perpetual member of the convention planning committee. He was an avid fundraiser for the SMA Foundation to The SMA Hall of Honor recognizes the selfless service and contributions of association leaders whose dedication, loyalty and hard work have paved the path to SMA’s 60 years of success. That love of young people and their education was recognized and memorialized by Bob’s industry friends with the creation of the Bob Ondrusek Scholarship fund within the SMA Foundation. The Ondrusek Fund provides tens of thousands of dollars each and every year to deserving students. Bob and his wife Alice remained active in SMA until his passing in 2002. Copyright © 2019 Southwest Meat Association. All rights reserved.